Material handling, a science of loading, moving, packing, storing and unloading of materials, is a critical process in an industrial environment. It is performed either manually or through an automated process. Why is it important to establish and follow material handling principles? Moving heavy objects manually from one place to another can arise a number of safety and health concerns and increase production cost. A systematic and practical approach towards manufacturing operations not only ensures employees’ safety but also streamlines work. This is why the modern manufacturing industry takes material handling operations seriously and implement automated processes to reduce production cost and time. Thorough planning is essential when it comes to streamlined and profitable manufacturing processes. All material handling activities should be planned. A consultation among managers, suppliers, engineers, consultants, labor, etc. can help you develop a practical material handling plan. Plant layout, location, and storage space should also be considered in the planning process. A growth-oriented manufacturing environment demands from workers the ability to adapt to evolving working conditions. In material handling, the capabilities and limitation of the workforce should be recognized and documented. A coordinated and operational system can be developed by integrating all the material movements and storage activities. The system principle refers to well-integrated and interdependent entities that work coherently. Work related to material handling (MH) can be minimized without compromising productivity. Businesses should focus more on implementing automated MH operations to reduce manual work. Safety conditions in a workplace can directly affect the productivity of workers. Safe MH methods and equipment in accordance with existing safety codes can certainly ensure a safe working environment. Maintenance is an inseparable component of a healthy production process. A regular inspection and maintenance of MH equipment can save time and money. Mechanical handling of materials from inbound raw material to outgoing finished product help reduce production cost and safety concerns. 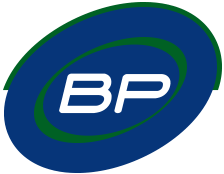 At BP Automation, we design and manufacture automated material handling systems for a broad range of industries. We will help you manage your MH activities in a unified and efficient way so that you can make a good use of your space and resources.